London s Heathrow Airport is the busiest international airport in the world, and has been for decades. Since it s opening in 1946 the world s airlines have beaten a path to its door and seventy years of operation has aroused feelings of appreciation from those who love it and feelings of derision from those who don t. Heathrow has seen the brightness of magnificent beginnings, the dark days of theft and delays, the dramas, the mundane everyday routine and probably everything in between. It has seen the arrival and departure of royalty, the rich, the famous and almost countless millions of ordinary passengers simply wanting to go somewhere or to get home safely; those who are the fuel that drive it. Now, as the airport reaches its 70th birthday, its position as the world s premier International hub are under the microscope as airports in Europe seek to attract traffic away from the UK. 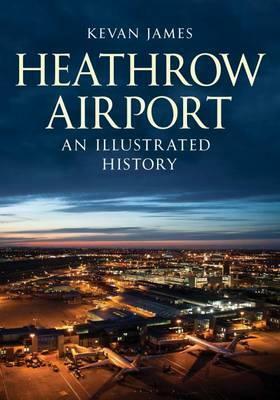 This book charts the history of the airport through the photographs of those who worked there, who still work there, those who use it, and those who are just enthusiastic about it."